As we travel for almost six months per year, of course, the cost is important and we usually prefer local transport. 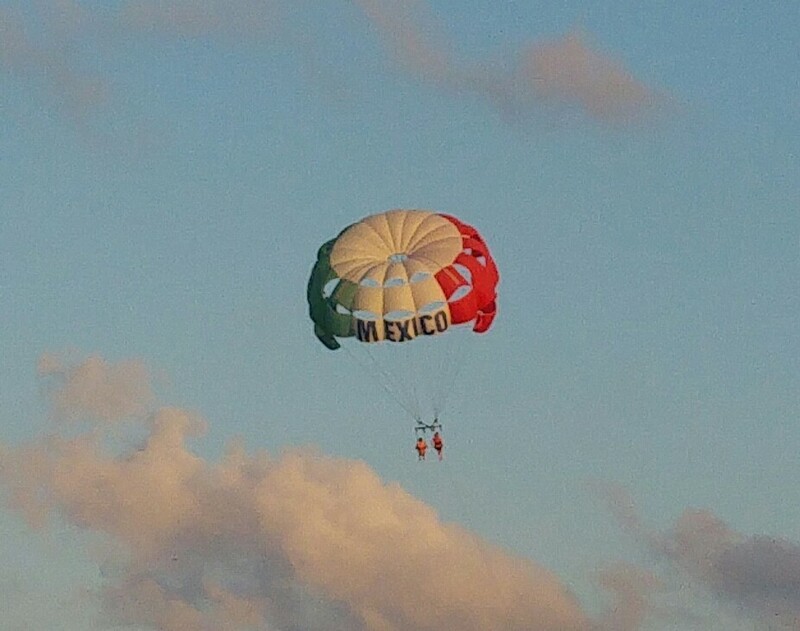 It is cheaper and you also have a better chance to see the country and get to know the people. We left from San Juan del Sur at 3:30 PM with the direct chicken bus (old American school buses) to Managua, from the street next to the market. The price was 70 cordoba per person and the ride took almost 3 hours. The bus stops at the Huembes market, located south-east of Managua. You should take the bus going to Tipitapa. Just ignore the taxi drivers and ask some people, as we did, they can show you where is the bus. The bus to Tipitapa left at 7 pm and at 7:30 we arrived at the airport. The bus stops on the main road in front of the airport. For this part of the trip, we paid 3 cordobas! Sure, it was crowded, but almost 100 times cheaper than a taxi! 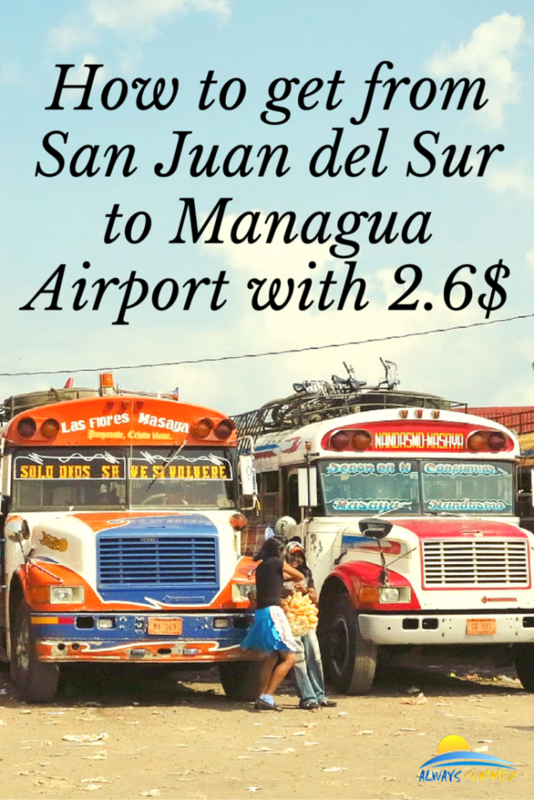 From San juan del Sur to Managua airport we paid a total of 73 cordoba which is less then 3 $! Of course, you can do this only if you are not in a hurry and if you have a small backpack.